Founded in 2009 and headquartered in UK (London), Portugal (Lisbon) and Switzerland (Lausanne); HouseTrip is one of the largest holiday rental marketplace in the world for people to book and list holiday rentals. It is a portal that allows homeowners and holiday rental managers (known as ‘hosts’) to list and rent out their properties to guests who wish to use it during their trip. One can use this marketplace to securely book a holiday rental for a vacation in Europe, Asia, Africa, North America, South America and Australia. The listings on the site are divided into different categories such as a flat, apartment or house, and one can also choose alternative property types such as a boat or castle too. Either ways, no private bedrooms are listed or can be booked, and only entire properties can be booked using HouseTrip. Hosts can list their properties for limited periods of time as well, which gives the travellers the opportunity to be in a real home for their short-term stays. Listing a property on HouseTrip is completely free of charge and in order to create a property listing, the host has to complete an online profile. They have to fill in all the details about their available rental, along with three photos which must include a photo of each room in the property, and must also have accompany all listings before they go live. The price can be determined by the host, and they can also charge different prices based on per night or weekly rates by using HouseTrip’s calendar tools as well. Additionally, they can also add in detailed guest restrictions in the property description (for example ‘no large groups’, ‘no smoking’, etc) and outline security deposits. Once all details are completed, these listings are then passed on to the verification department at their Lisbon office before the listing goes live. This team verifies everything from photo quality, descriptions, etc to performing thorough fraud detection checks and getting in touch with the host party in cases where information is lacking. They also have a “Fraudbuster” team whose job is to track anything suspicious that occurs on the site as well. One can manage the requests and bookings using the free and easy-to-use tools, including a dedicated mobile app offered by HouseTrip. They also have a multi-lingual service team of more than 100 people to assist you. All the payments are handled using a secure payment system. HouseTrip adds their service fee of 10% – 20%, to the amount that is specified by the hosts, while collecting the money. Although HouseTrip collects the money during the booking stages, but they transfer it to the host, two days after the guests have checked-in, to ensure that the properties match guest’s expectations. Guests are also encouraged to review the properties they use, after the completion of their stay. It is advised and encouraged that you send multiple enquiries just to be on the safe side. 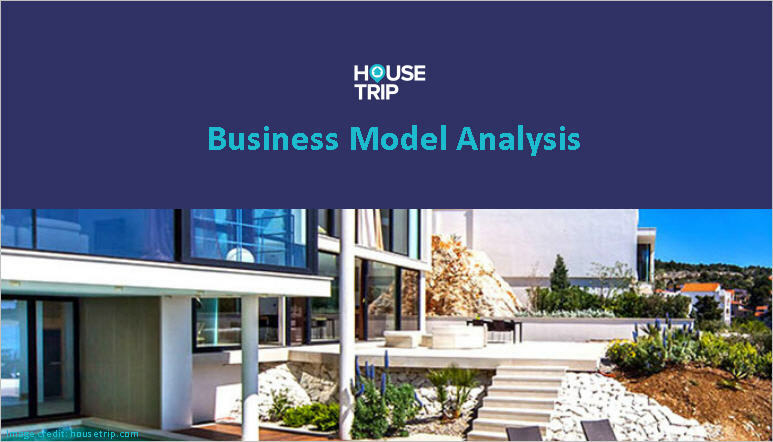 HouseTrip was founded by the husband-wife duo Arnaud Bertrand and Junjun Chen in 2009, but George Hadjigeorgiou currently runs the company as its CEO. Arnaud grew up in France till the age of 18, post which, he moved to the Ecole Hoteliere de Lausanne in Switzerland for further studies. Junjun, too moved to Ecole Hoteliere de Lausanne in Switzerland for further studies around the same time as well. They completed their Bachelors in Hospitality and Entrepreneurship in 2009 from Ecole hôtelière de Lausanne, before which they had also taken a Summer School Course in International Corporate Governance in 2008 from the prestigious Harvard University. While they were studying, they had also worked as interns as well. Arnaud had worked with PKF Consulting as an Intern and Junior Hospitality Consultant for about 8 months. Junjun had worked with STR Global handling their Customer service & relationship, clients training and data research for about 6 months. And since both their parents were entrepreneurs, they just could not picture themselves being anything else other than their own bosses, and hence, post their university, they started HouseTrip. Arnaud was the CEO of the company and Junjun was the CFO. Since then, Arnaud has also invested in several companies including: UpMySport, TutorFair and Deliveroo. More recently, in 2014, he stepped down from the position of the CEO and passed on the baton to George Hadjigeorgiou. George is the CEO of HouseTrip since the last two years. He has completed his Bachelors in Mechanical Engineering and Economics from the Tufts University, and Masters in Mechanical Engineering from the Massachusetts Institute of Technology. He started his career after completing his masters in 1998 with Accenture as a Manager, Strategy Practice and went on to work with them for about 2 years. He then rejoined them in 2002 as a Senior Manager, Strategy Practice and worked for about two and half years. During this period, he cofounded his first venture Quaris.com (part of Accenture Technology Ventures) in 1999, and also worked with Eurimac as a Business Development Director in 2000 as well. In 2004, George joined Yahoo into Corporate Development and worked with them for about 5 years, during which he also got promoted to a General Manager for Yahoo (EU Communication/Community Products & Social Media), as well. Between 2009 and 2011, he worked with XE and GoldenGroup (GoldenDeals, GoldenBrands, GoldenTraveller), as their COO / Board Member and CEO / Founder, respectively. And then finally in 2012, he joined HouseTrip.com as their CBO, and eventually moved up the ranks to become the COO, and more recently the CEO of the company! To begin with – the idea of HouseTrip had first sparked in Easter 2007! The husband-wife were completing their internships at L’Ecole Hoteliere de Lausanne in London and decided to take a break from their routine. The couple decided that they needed a holiday, but did not want to stay in a hotel. But the booking methods for holiday rentals were much more difficult and complex than they imagined it to be. They tried to book a B&B in Scotland and the process for finding and renting a B&B (Bed & Breakfast) was so complicated, that they literally had to spend 2 weeks calling potential hosts before finally having one booked. Additionally, they also found it very difficult to rent out their place in Lausanne, for the period they were away for the trip. They eventually had to give in, and leave the place empty. This was probably because the concept wasn’t that familiar amongst the masses, and there wasn’t any centralized medium offering such services. Having studied hospitality management, the two were well versed in how easy it was to book a hotel room online, which is what made them think – why not for the holiday rental market too? And since, Arnaud had got the experience of both the sides of the spectrum: the host and the guest, they got the idea of HouseTrip. Other than the base idea itself, what differentiated them from the rest was the level of protection they offered to travellers. When booking through HouseTrip, travellers are automatically protected by the guarantees and cancellation policies for free. Additionally, any property on HouseTrip is directly bookable and travellers pay securely through the website itself. And, after deep brainstorming, 1,000-odd Swiss francs from their personal pockets, no idea on how to build a website, the husband-wife duo started the journey of HouseTrip. The first step was to fund their first job hire which is building a website, for which they journeyed across Switzerland and Europe pitching to over 200 business angels in the hope that a view would see potential in their idea. After a lot of rejections they finally found three [angels] who invested 50,000 Swiss francs each. Thus giving life to their project! This is how HouseTrip was founded in 2009, and launched in January 2010! They had started off with their home as their office, and about 200 properties around Paris, Berlin and London. As much as motivating it was, given that they were convinced that the idea would succeed, the initial phase was the hardest. Free weekends were out of question. And they proved the same when they managed to get bookings of more than 20,000 people in the first year of their operation itself. That year, they generated 2.5 million gross bookings in Swiss Francs. By 2011, HouseTrip had moved into their administrative, finance, development and marketing teams to London with a second office established in Lisbon for customer service queries as well. By now they were experiencing a growth of more than 1000%, both in terms of listing numbers and guest bookings. In 2012, they celebrated their 500,000th night booked through HouseTrip since their launch, and by 2014, their property listings on HouseTrip.com had increased to more than 330,000, making them one of the largest providers of holiday rentals world. In the same year of 2014, Arnaud Bertrand also stepped down as the CEO of the company, and passed on the baton to the then COO – George Hadjigeorgiou. Arnaud moved on to the role of the President of the company. They now have more than 200 employees working across Europe. The company has raised a total of more than $59.7 Mn from 3 Investors including – Accel, Balderton Capital and Index Ventures. More recently, in the current month of April 2016 – HouseTrip got acquired by TripAdvisor for an undisclosed amount. Although TripAdvisor’s core business is being a travel website for user-generated reviews, their natural extension of this was to expand to provide mechanisms to book accommodations. And, no prizes for guessing that, acquisitions are generally the best way to expand to such kind of growth. To do so, TripAdvisor has made a series of acquisitions, similar to HouseTrip, which includes: HolidayLettings and Niumba.com. Anyway! Moving ahead, HouseTrip’s inventory of properties will be infused into TripAdvisor Vacation Rentals, and HouseTrip brand will also continue as part of TripAdvisor. Very informative blog. Thank you so much for sharing this unique information with us. This provides me the best way of assuring the quality content.